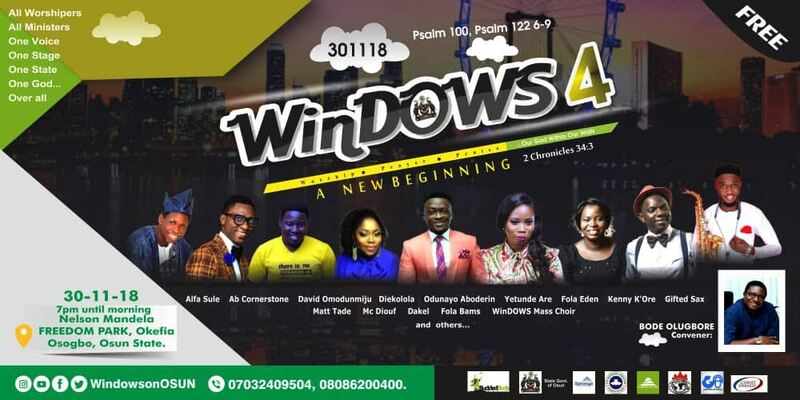 Osogbo, the Osun State capital is expected to host notable gospel artistes in the country will on Friday, November 30 for the 4th edition of Windows on Osun Praise and Worship concert. 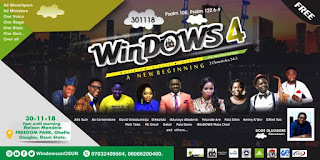 The event tagged “A New Beginning” taken from 2 Chronicles 34v3, seeks to gather people through the body of praise and worship to magnify God’s presence in Osun. Speaking with the newsmen in Osogbo, the Convener of the programme, Mr Bode Olugbore said the Inter-denominational programme is an indication of how God is interested in Osun as the black race. He expressed the conviction that the programme will impact positively on the spiritual lives of the attendees as well as manifest God’s blessings on the state. 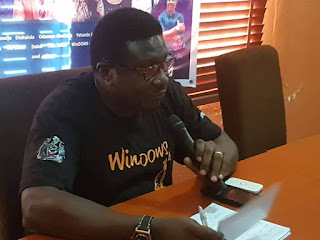 Olugbore also described as untrue and unfounded the insinuations that the programme is a government backed one, noting that the financial support for the concert was sourced from donors. Amon the Guest Artistes expected at the concert are Yetunde Are, Kenny Kore, Gifted Sax, Odunayo Aboderin, Temi Cornerstone, MC Diouf, Windows Choir Team among others. 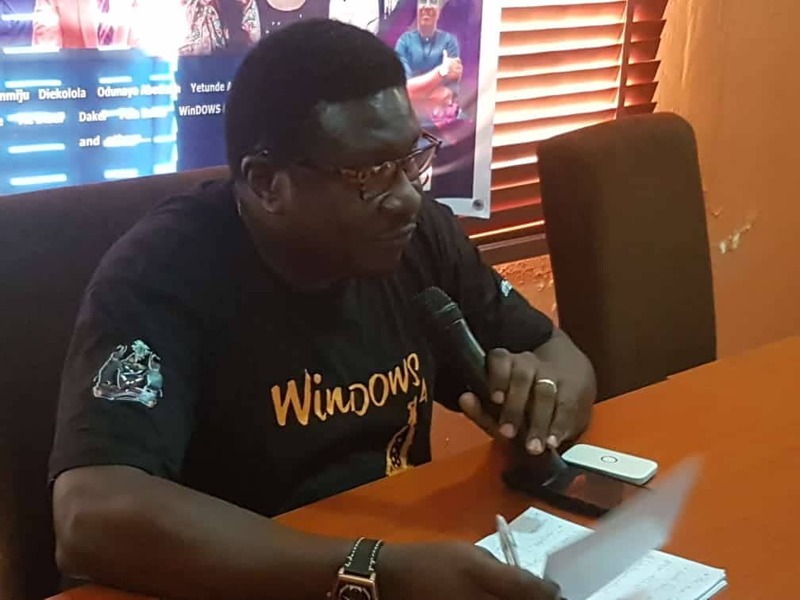 The Convener also stated that buses will be provided for interested participants in Iree, Ede, Ife, Ilesa and Iwo to convey them to the Nelson Mandela Freedom Park in Osogbo, venue of the event.